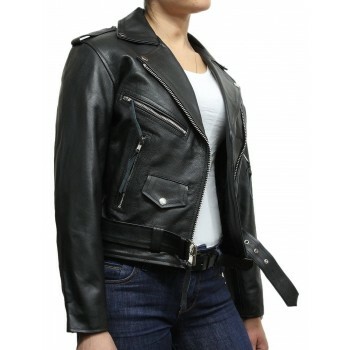 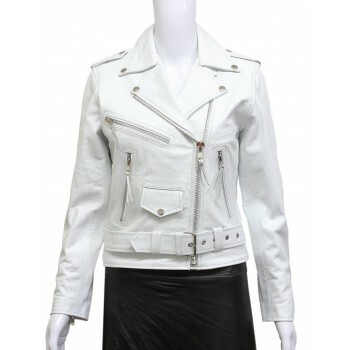 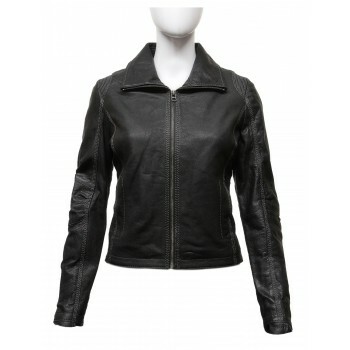 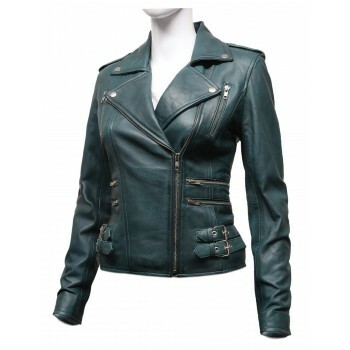 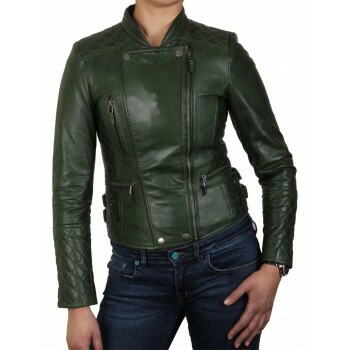 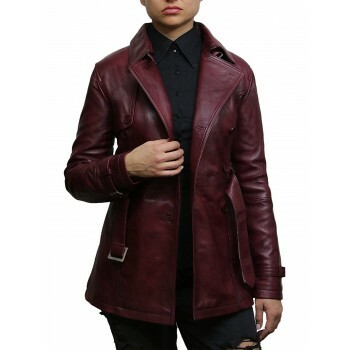 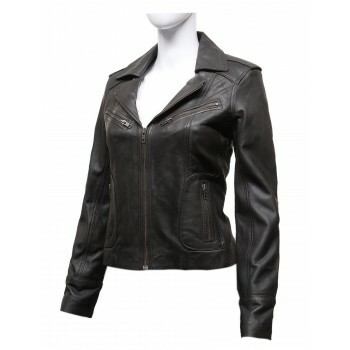 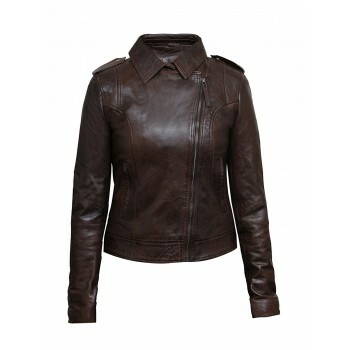 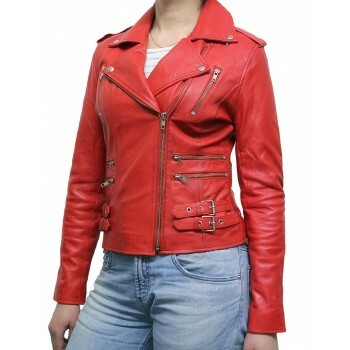 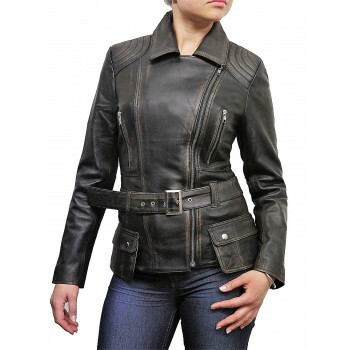 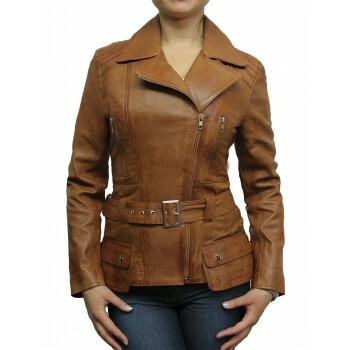 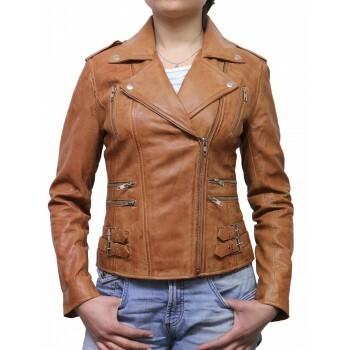 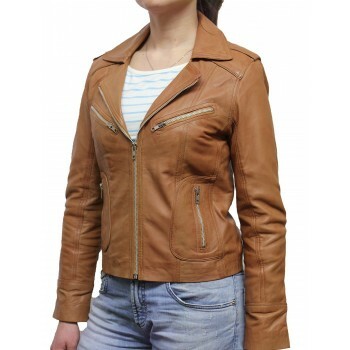 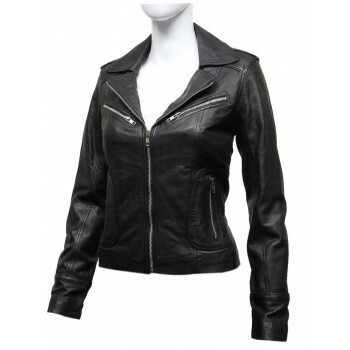 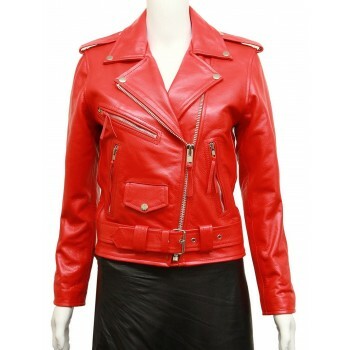 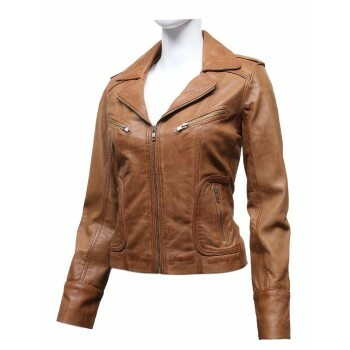 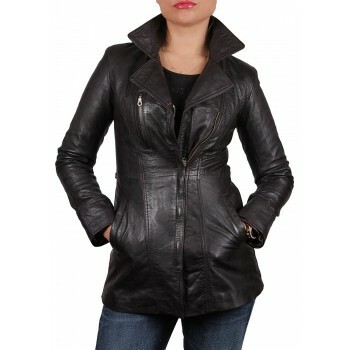 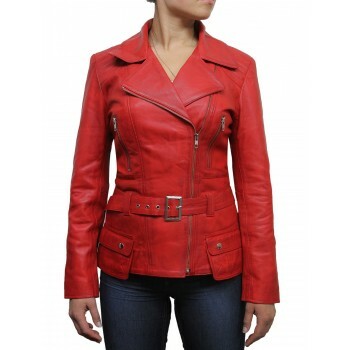 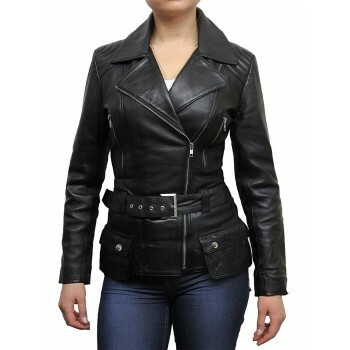 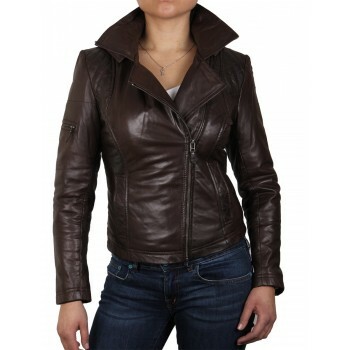 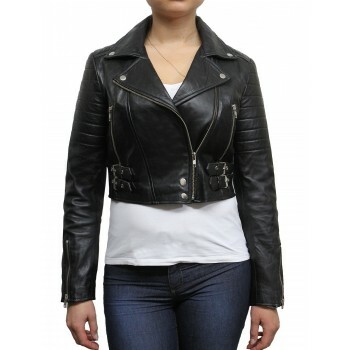 Elegant luxurious Women biker jacket in cool vintage style in fully detachable hood. 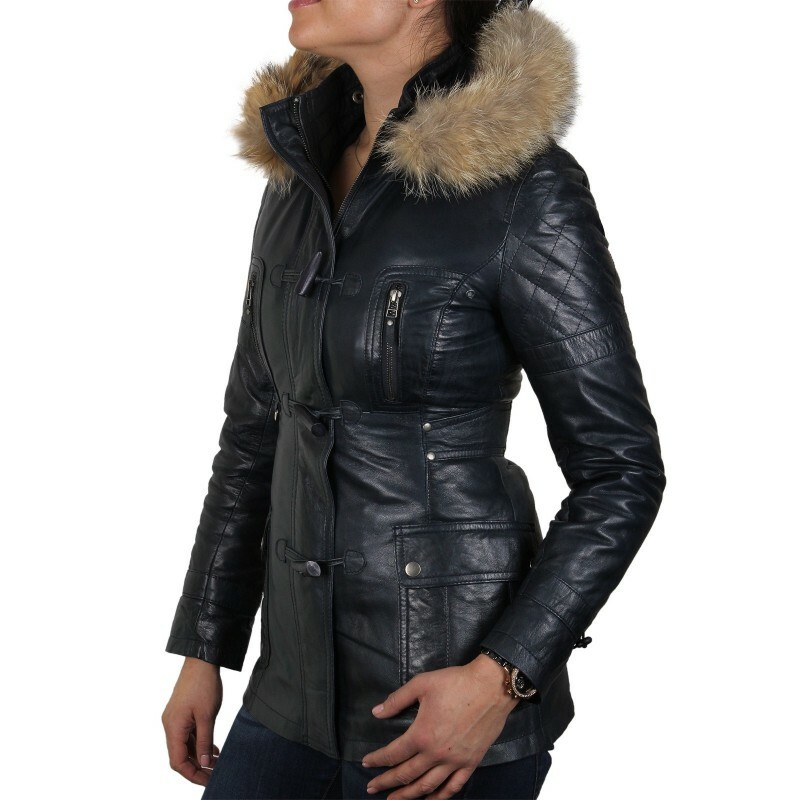 The hood has natural American racoon fur. 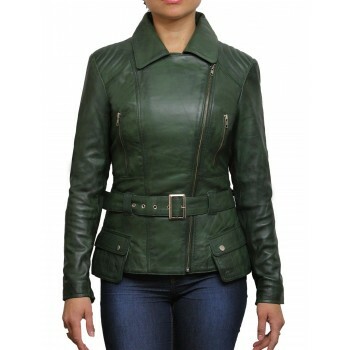 This versatile jacket can be worn in any season as it has all what it takes. 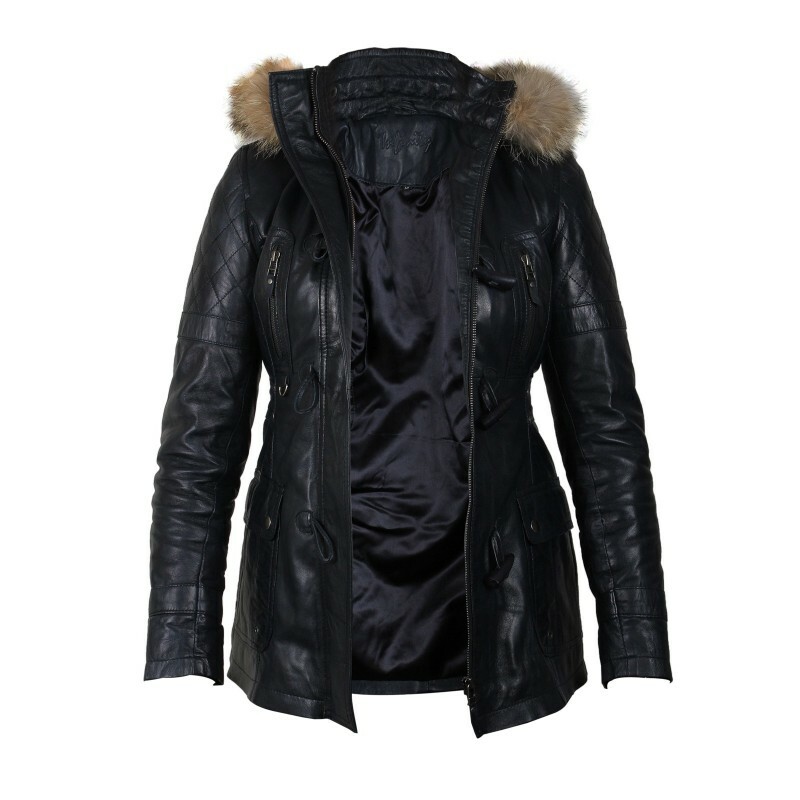 Regular to semi fitted style. 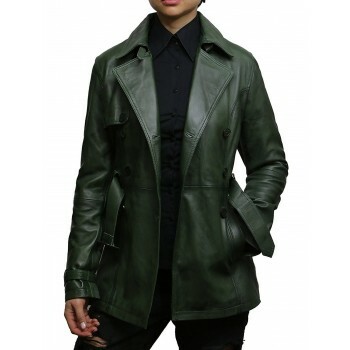 2 vertical pocket on chest. 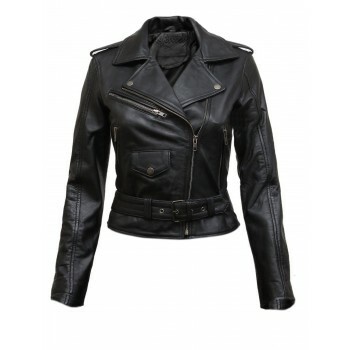 2 patch pockets on the lower waist area with dual press stud. 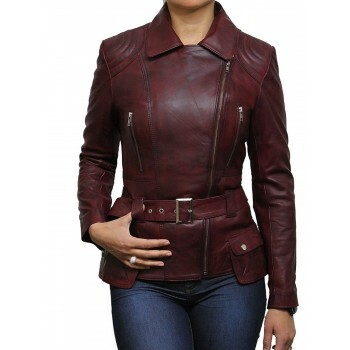 Single breasted buttons on the top and centre running zip on the bottom. 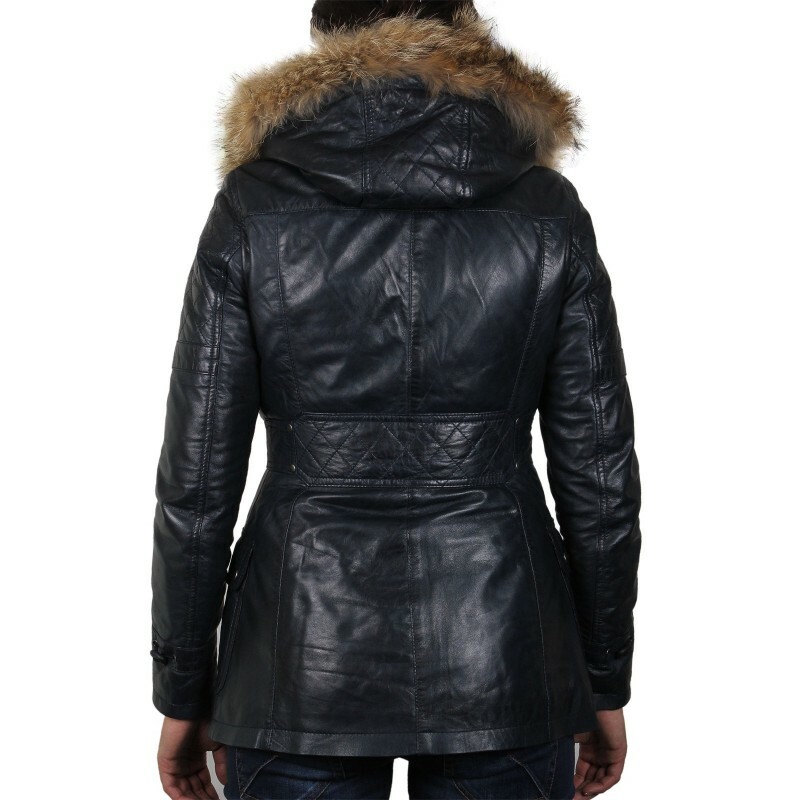 Quality diomand stitching on the top sleeves,back and on the back of the hood. Crafted from soft and smooth lamb nappa. 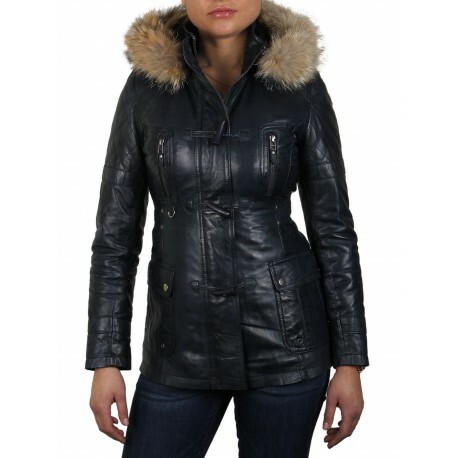 American racoon fur on detachacble hood. 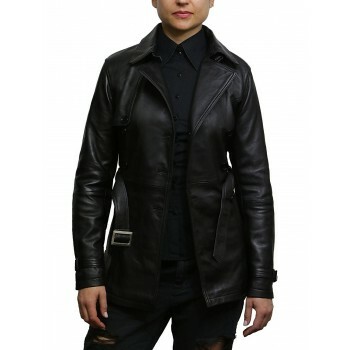 Quality YKK zips covered with antique 3 unique buttons.